Hickory is a traditional BBQ favourite that is good with beef, pork and poultry. Containing nothing but pure Hickory hardwood, these pellets provide a very strong hickory flavour to most foods. Recommended for experienced smokers as it can be easy to over smoke with these pellets. 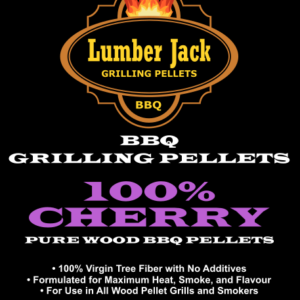 Lumber Jack 100% Hickory wood BBQ pellets are best suited for foods with a short cook time like burgers, pork chops, steaks, shrimp and scallops. Over-smoking can result in a bitter taste. Because of the strong flavour, these pellets are also a good choice to mix with other pellets and create your own custom blend. Made from 100% Pure Hickory flavourful wood chips, not residual sawdust.